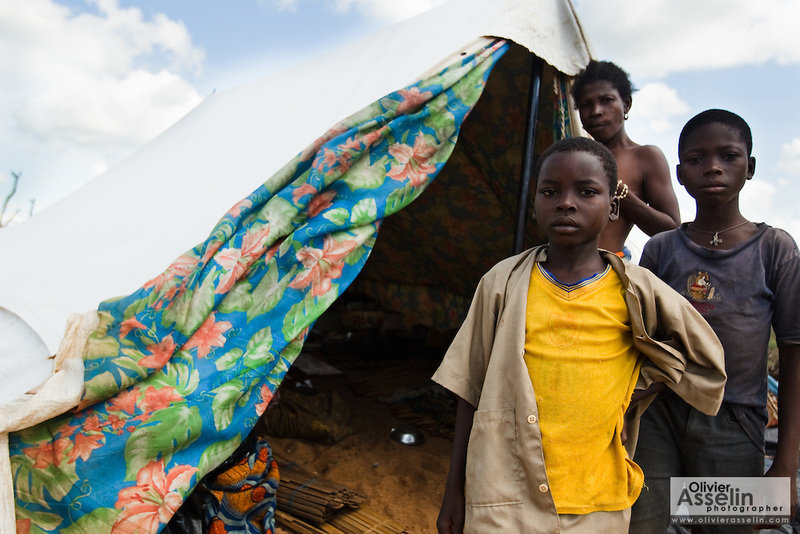 A woman and her children stand in front of the tent where they now live after their home was destroyed by floods in the village of Kpoto, Benin on Tuesday October 26, 2010. Waters have receded in Kpoto, but most of the village was literally flattened by floods that have hit Benin over the past few weeks. Almost all of the village's 1500 people have moved to a location near the local church, located about 500 meters away, where they now live in basic shelters.